Whether it’s baseball playoffs or Monday Night Football, we are always game for a table spread. Lauren definitely watches the most sports out of the two of us but I have a husband who loves watching some games so having a treat near by for the kids to nibble on while they watch along too is always helpful. 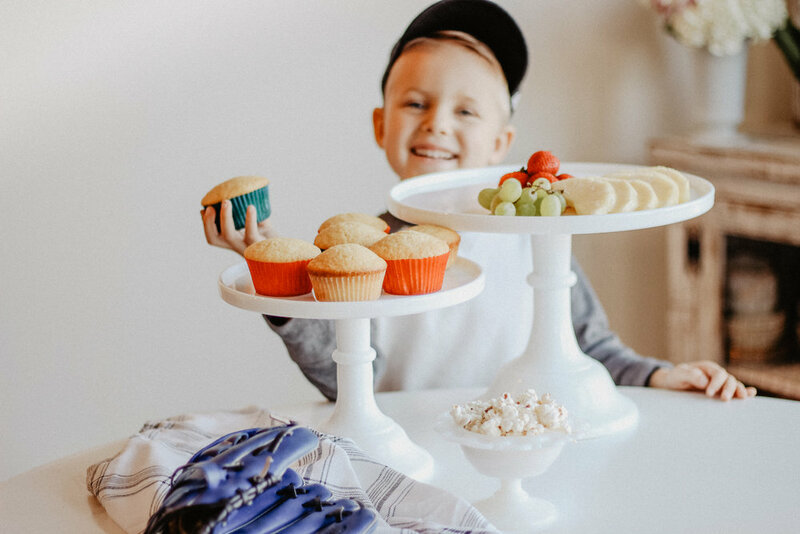 Football and food just naturally go together and my kids love helping bake a new treat. 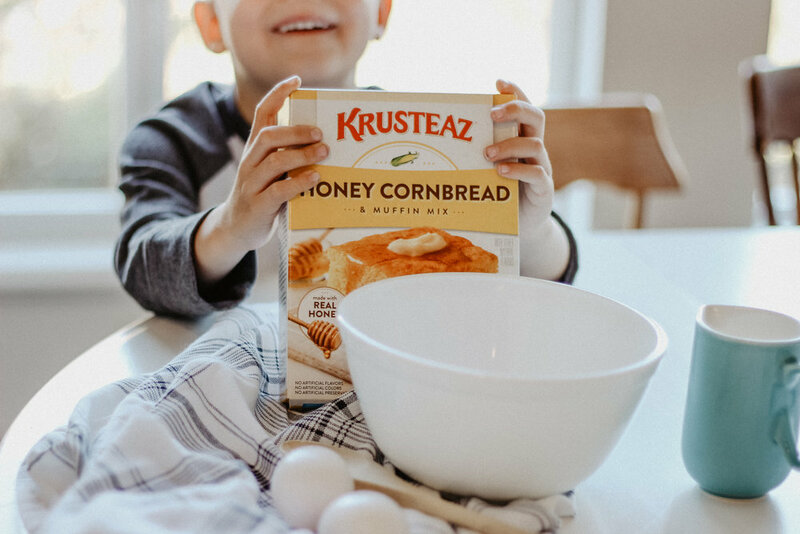 This easy to use and delicious Honey Cornbread mix from Krusteaz is there perfect baking item! My kids can see the pictures of what they need to add on the back and they love turning our KitchenAid Mixer on and watch it do its magic. I love having a few mixes from Krusteaz always in my pantry because they are so easy to use and taste delicious! 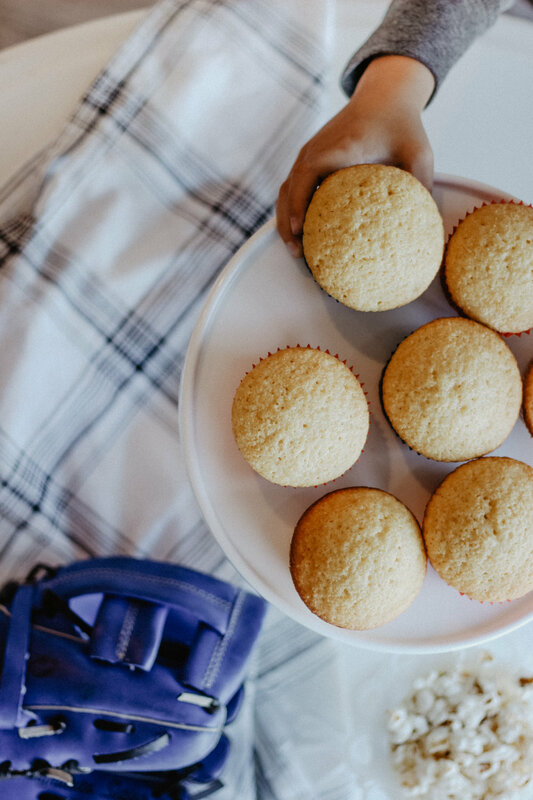 We made honey cornbread muffins out of our mix but you could make mini cornbread loafs, honey cornbread cookies or good old fashioned cornbread squares. We love the versatility each box of Krusteaz offers and it so quick and easy to use for families. The kids loved snacking on the honey cornbread muffins during the game, but you could easily pair these with a bowl of fresh chilli, cheesy cornbread balls, or enjoy with some warm soup! Krusteaz also offers a Jalapeño Cornbread flavour so if you are looking for a bit of a zip, that mix would be perfect! 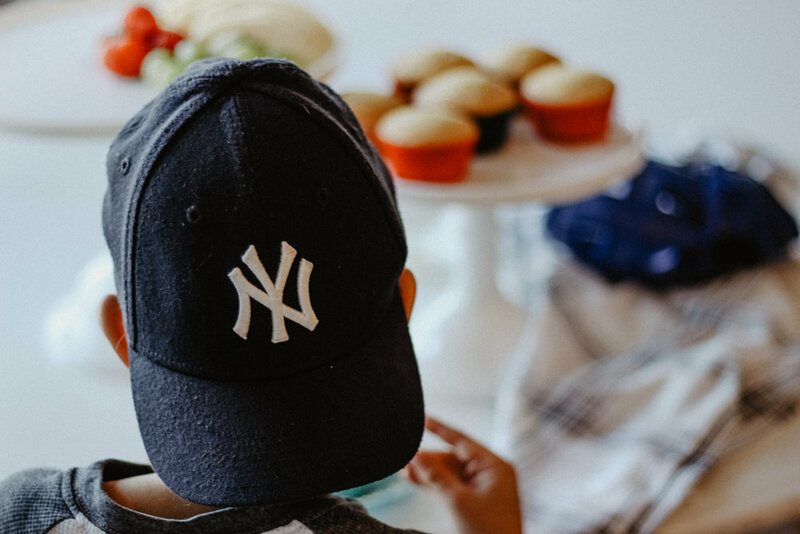 Regardless of who you are cheering for (it gets loud for the New England Patriots during football season or the Yankees during baseball), spend a few minutes in the kitchen and mix something warm and delicious to accompany your tailgating parties at home this season!